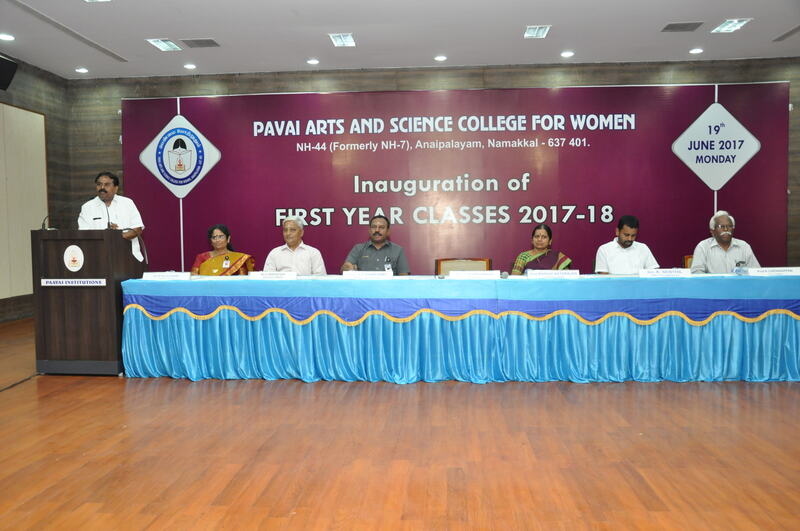 The first year inauguration ceremony for 2017-18 batch took place on 19.06.2017 in the forenoon in Ananda Arangam of Pavai Educational Institutions. 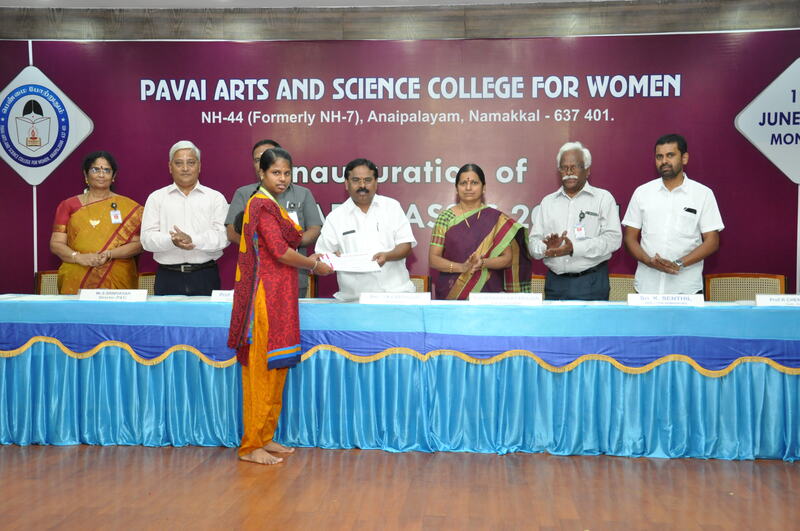 Smt.Mangai Natarajan lit the lamp along with dignitaries following which there were bajans and slogan chantings. 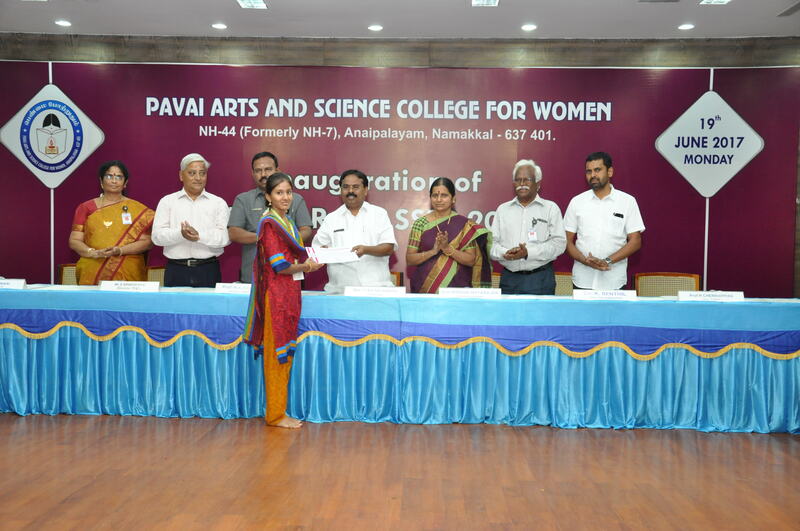 Dr.R.Rajeswari, the Principal of Pavai Arts and Science College for Women welcomed the gathering. 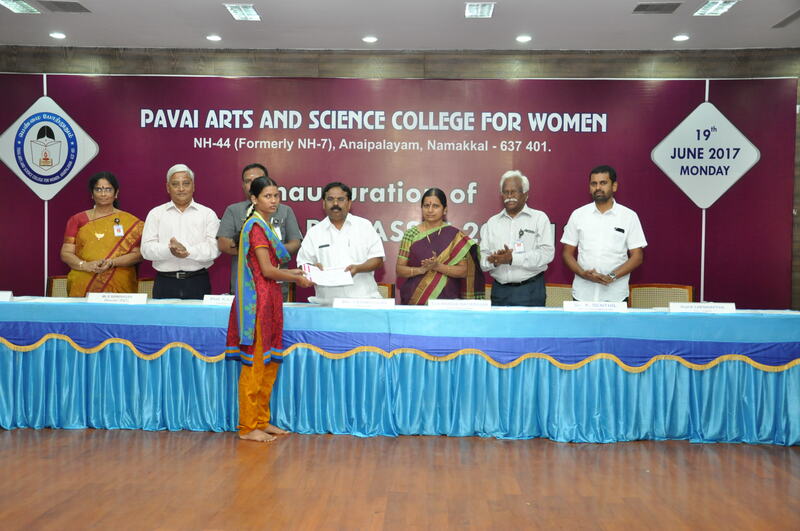 Shri.CA.N.V.Natarajan, the Chairman of Paavai Education Institutions hoisted the Paavai flag and warmly greeted the parents and the students. 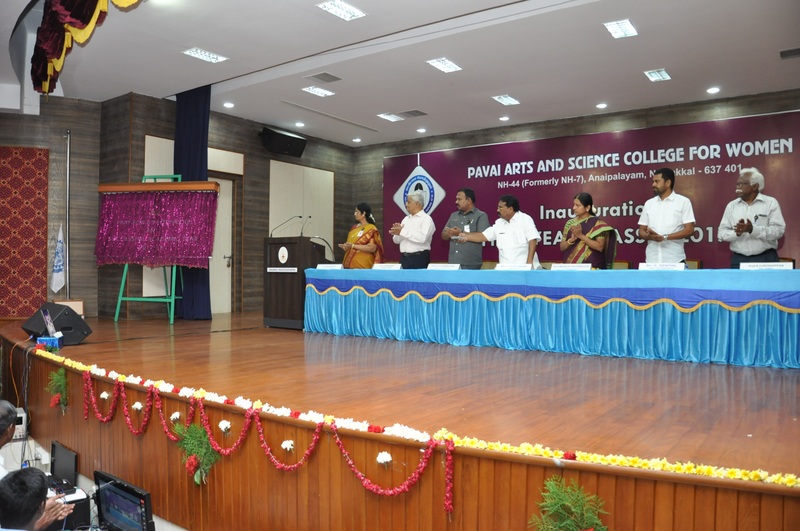 In his presidential address, he explained that the five faces of the lamp that they had lighted up that day symbolize students, parents, teachers, society and management. 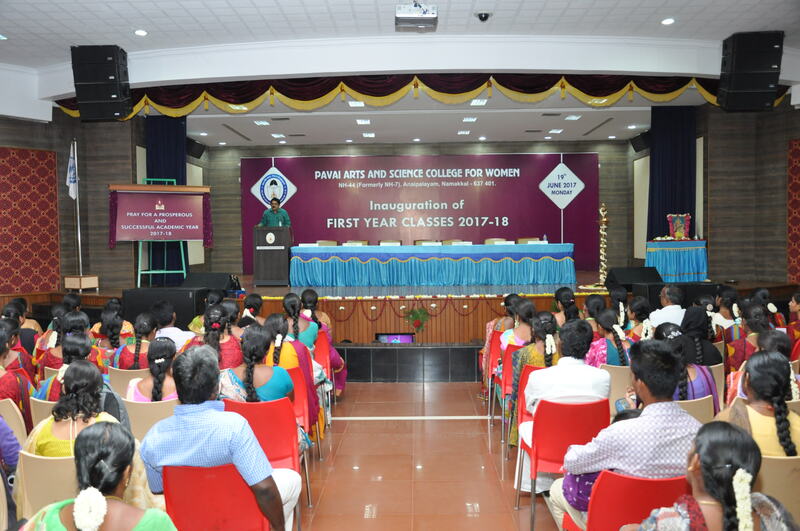 All these stakeholders would work in unison so that the students will get the best education and virtues leading to desirable employment in the days to come. 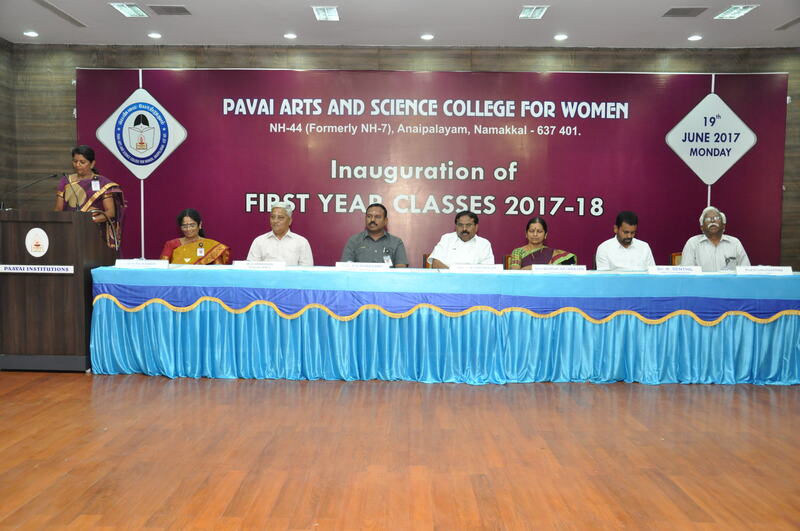 He further continued that Paavai is the outcome of the dream of its founder and therefore the parents can trust its principles and the management. 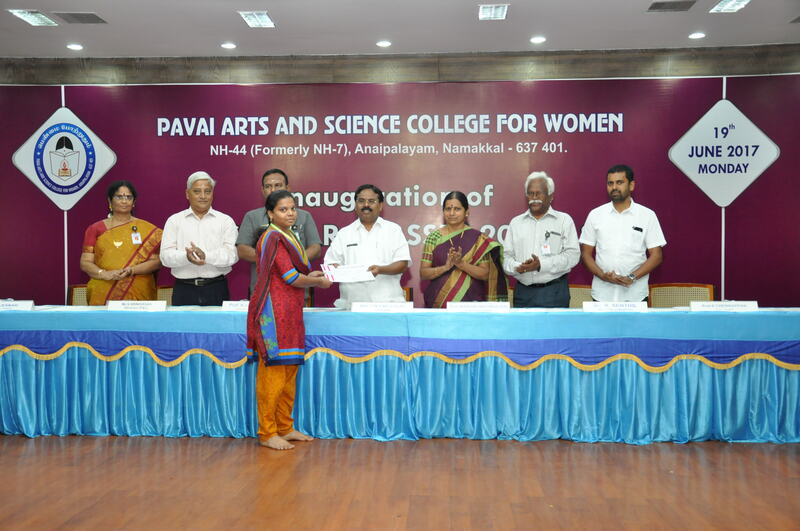 He stated that education affords financial support and security to the women folk in the society and Paavai further provides the foothold to the students to design and fulfill their future. 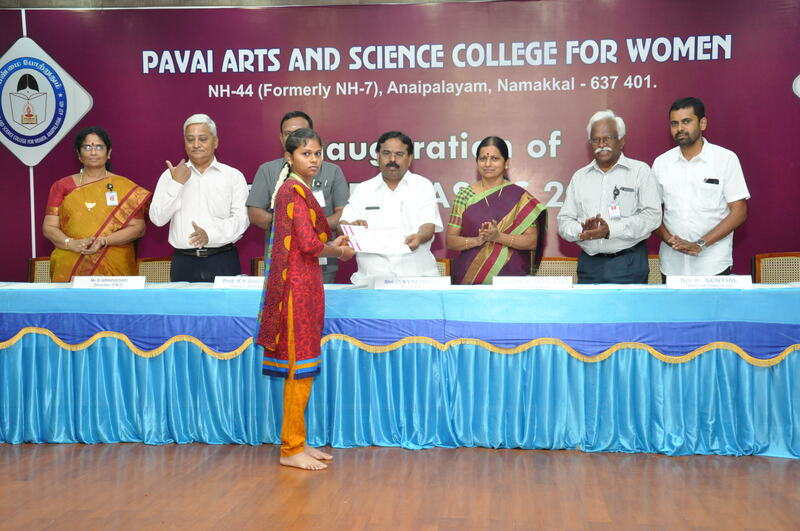 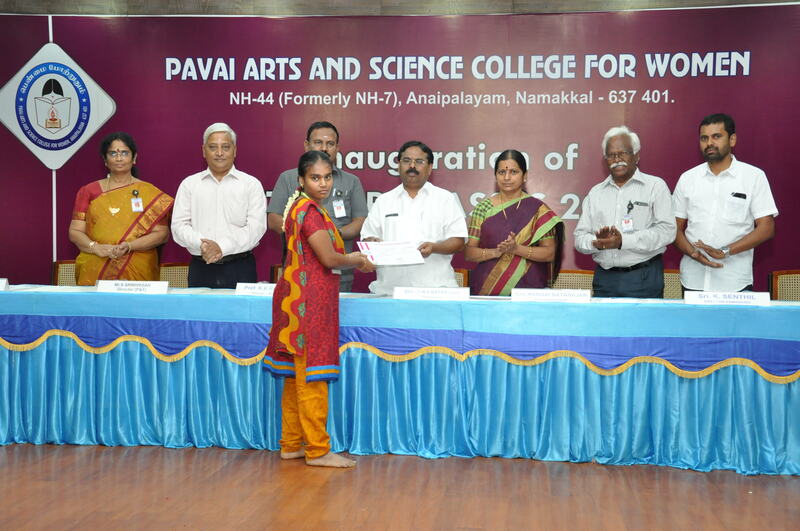 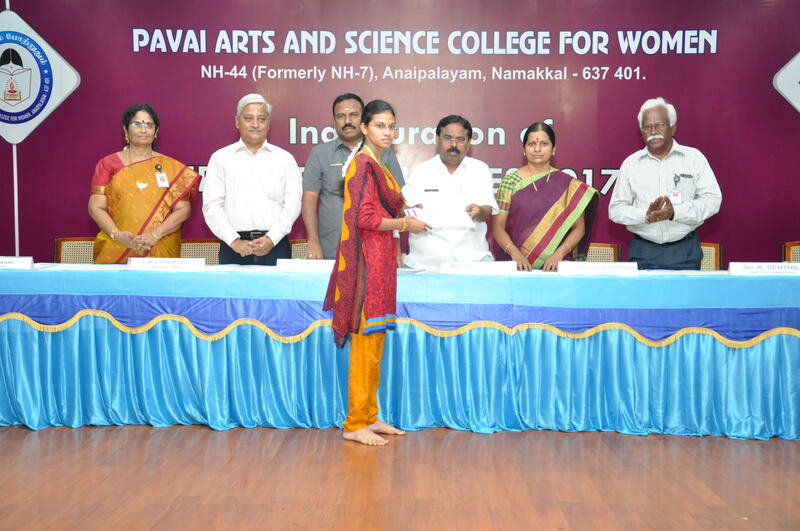 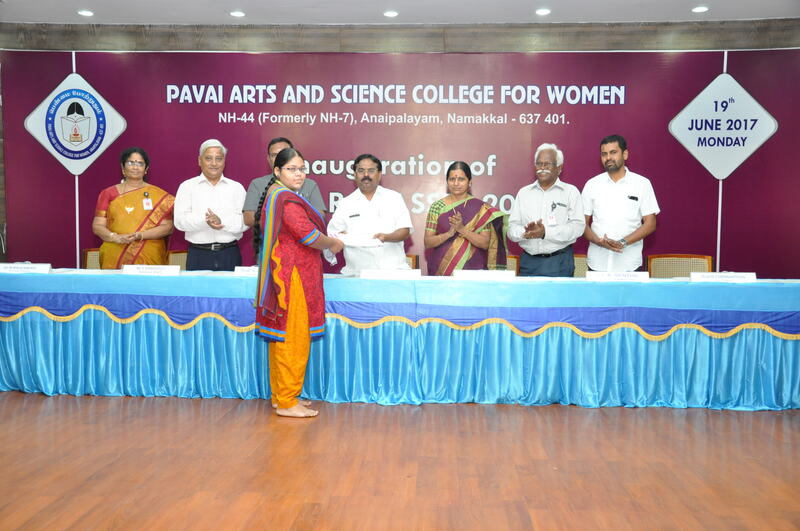 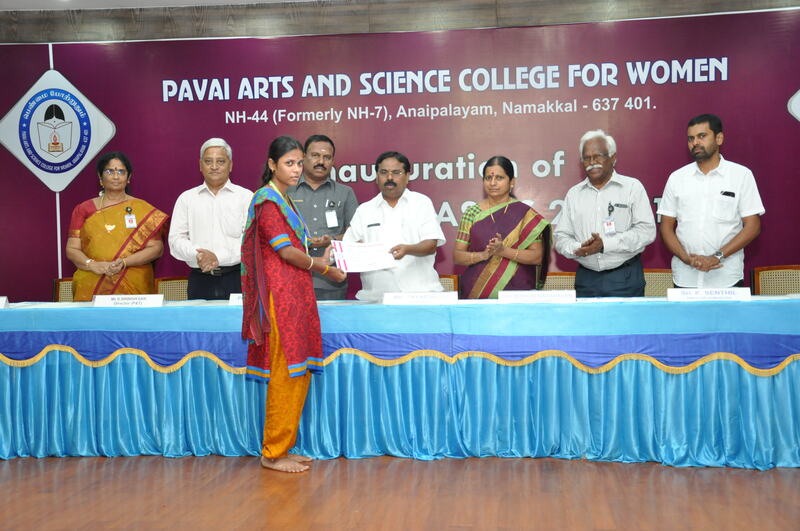 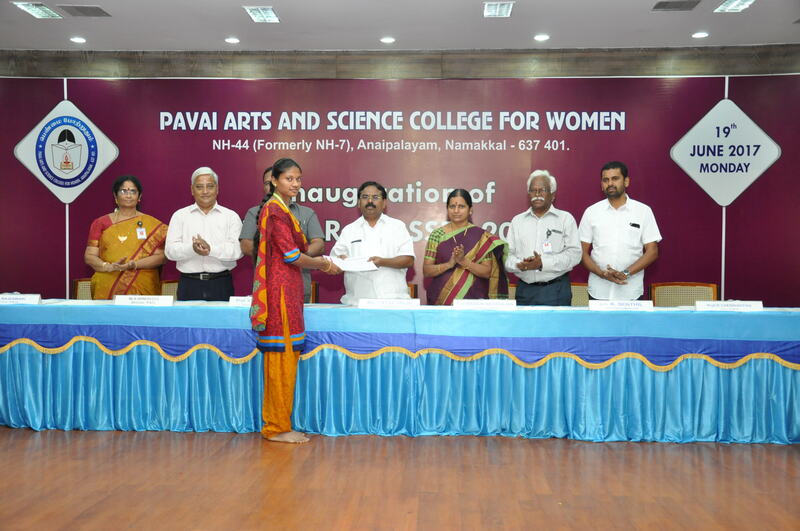 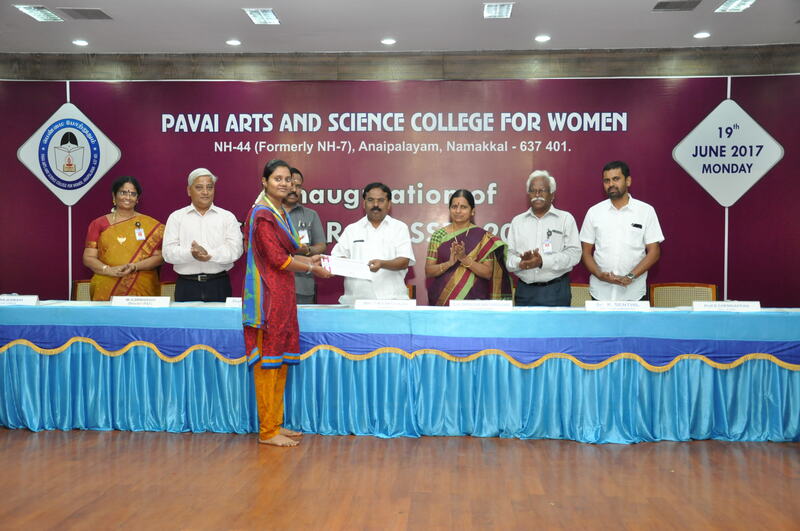 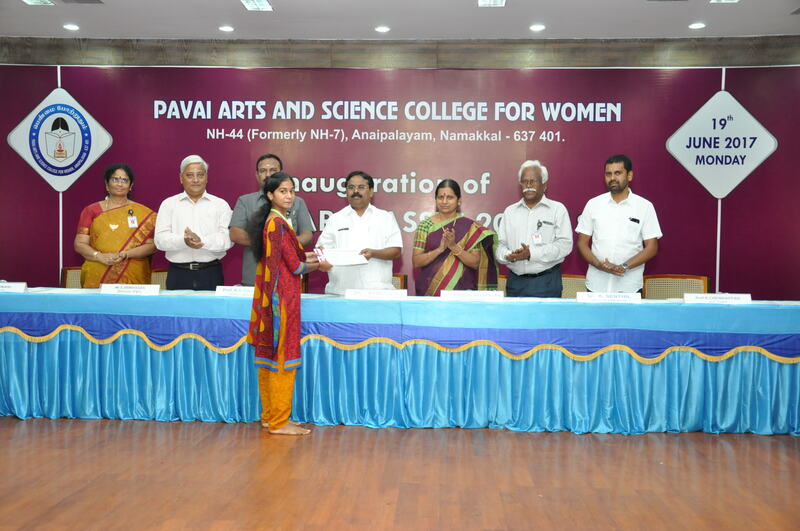 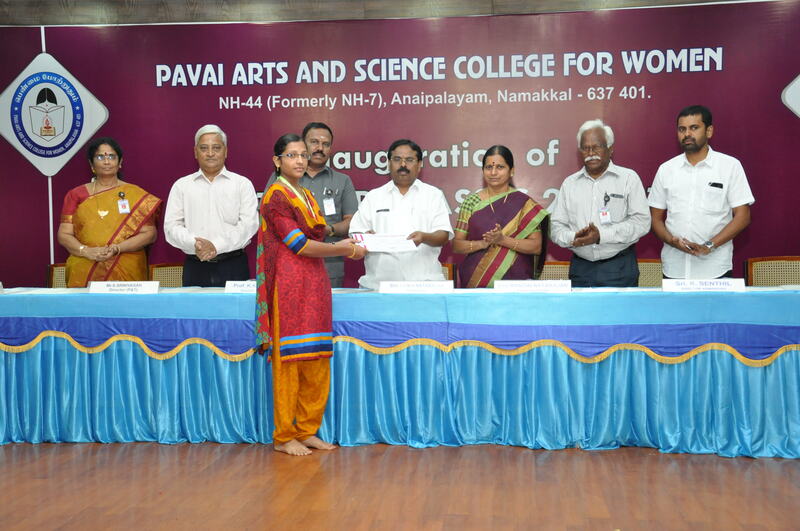 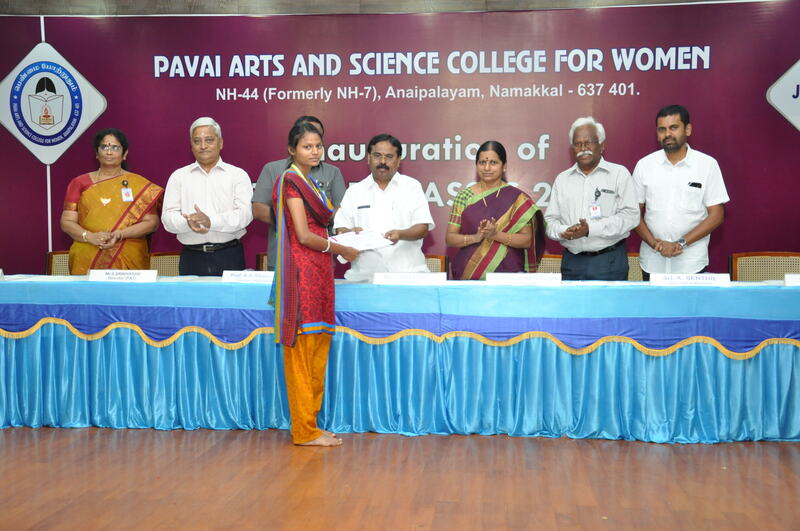 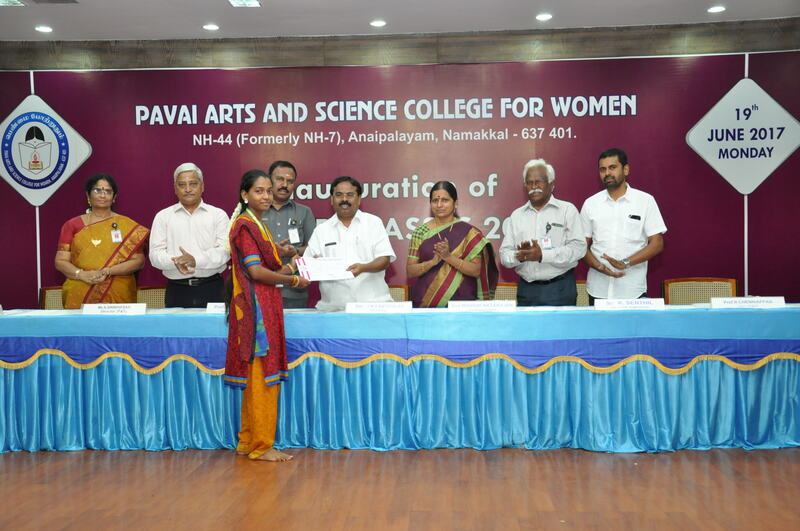 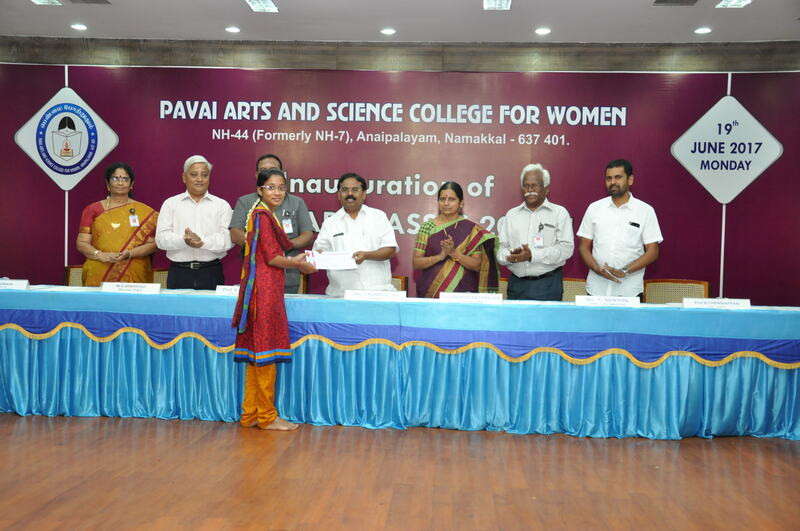 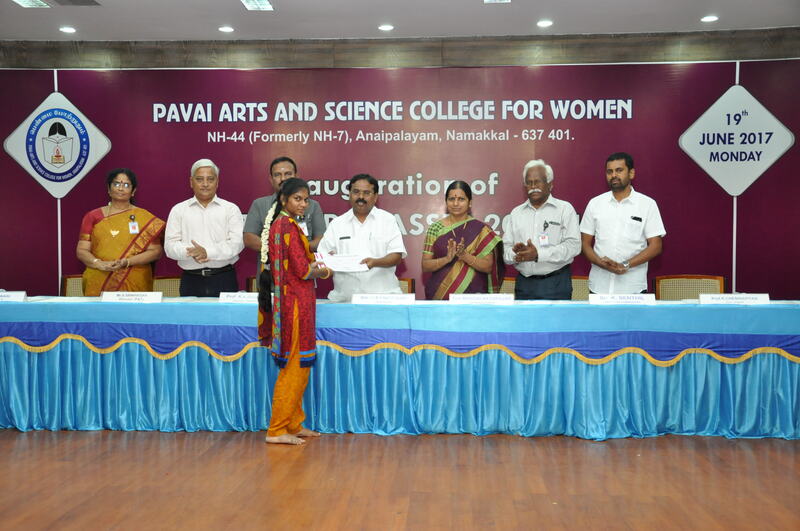 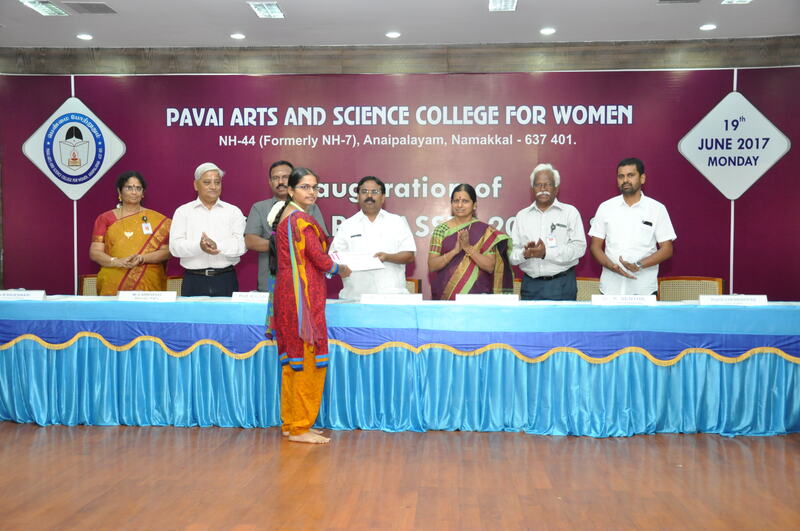 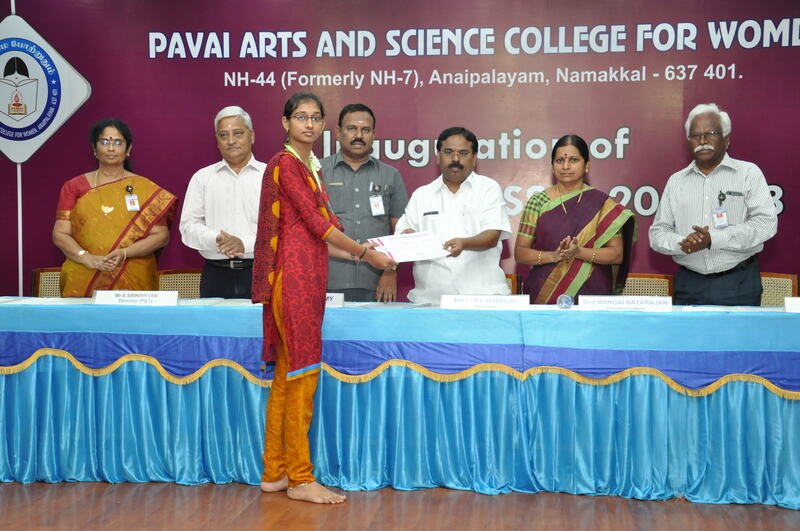 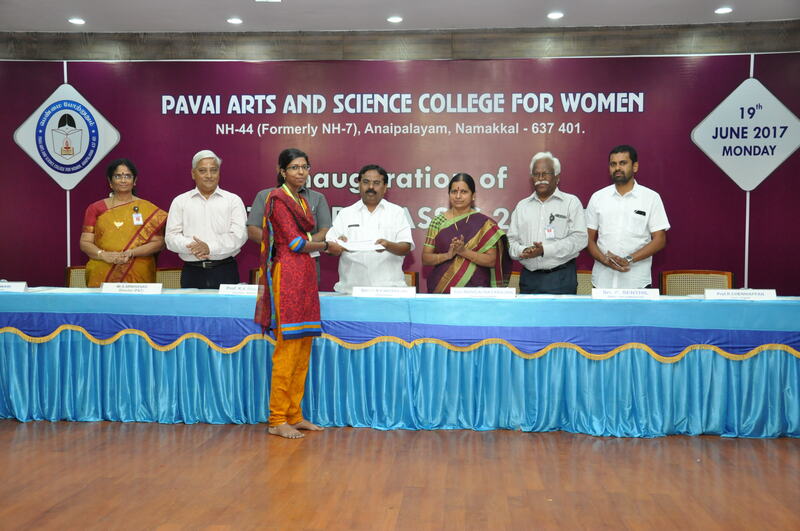 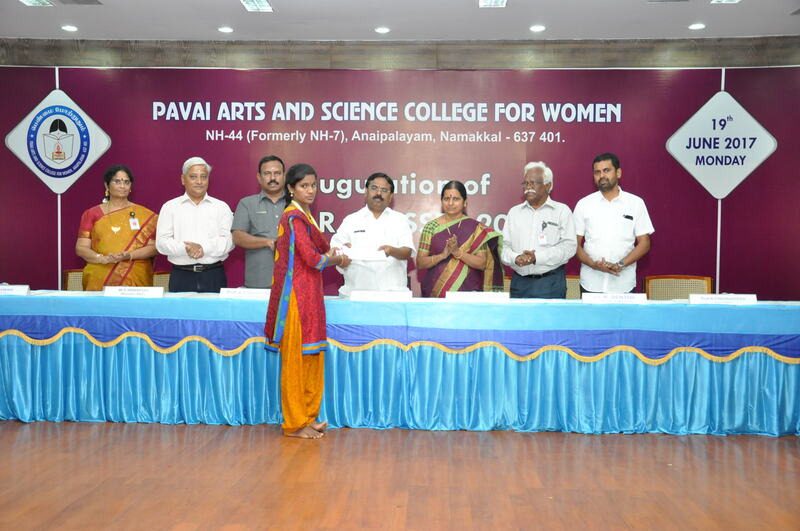 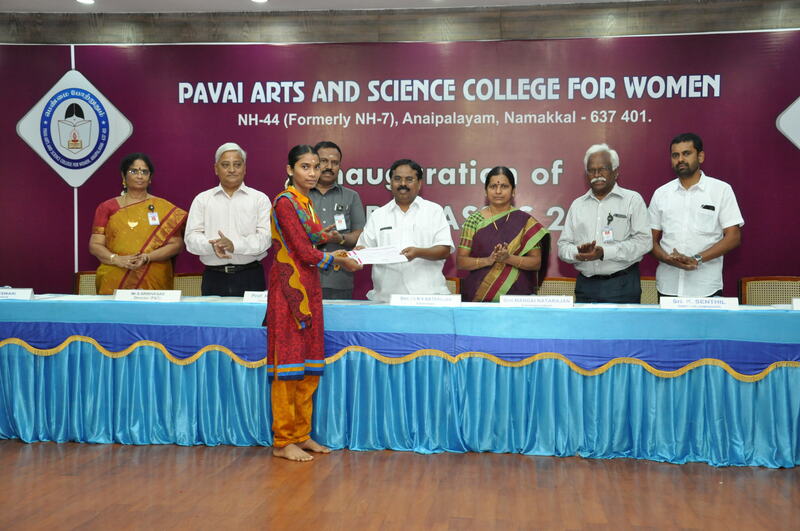 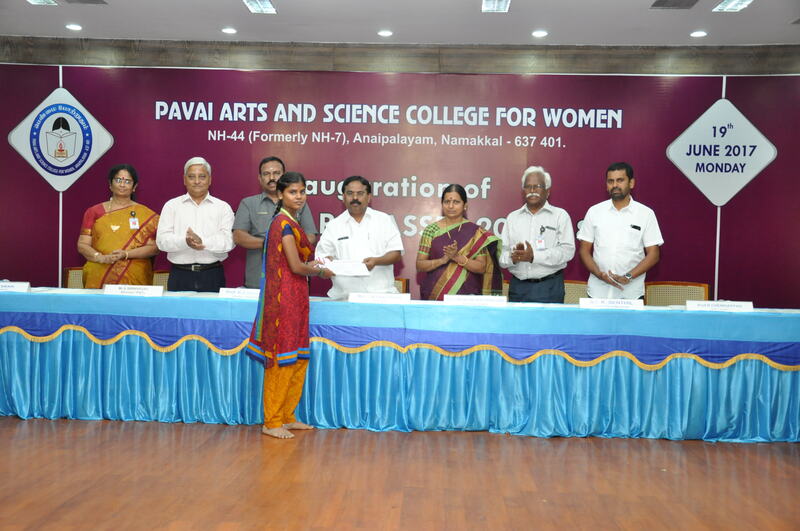 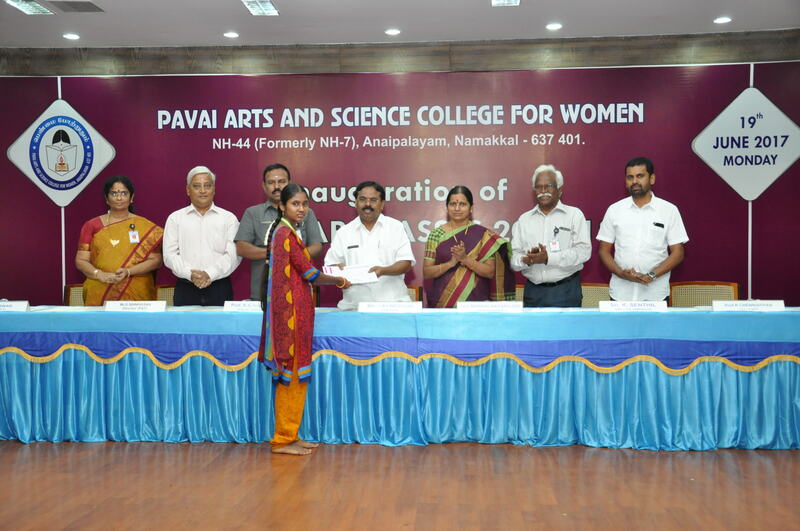 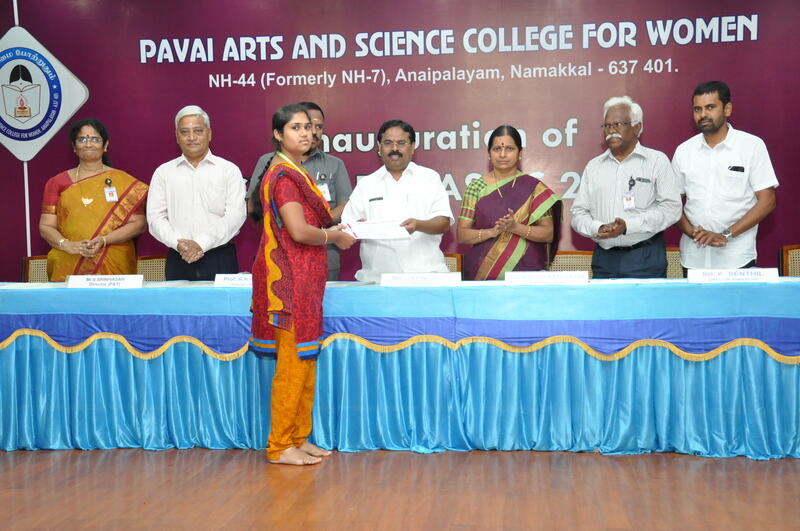 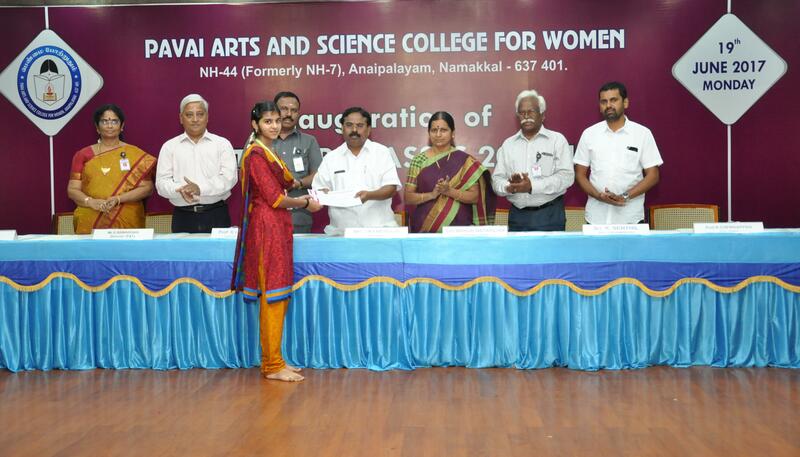 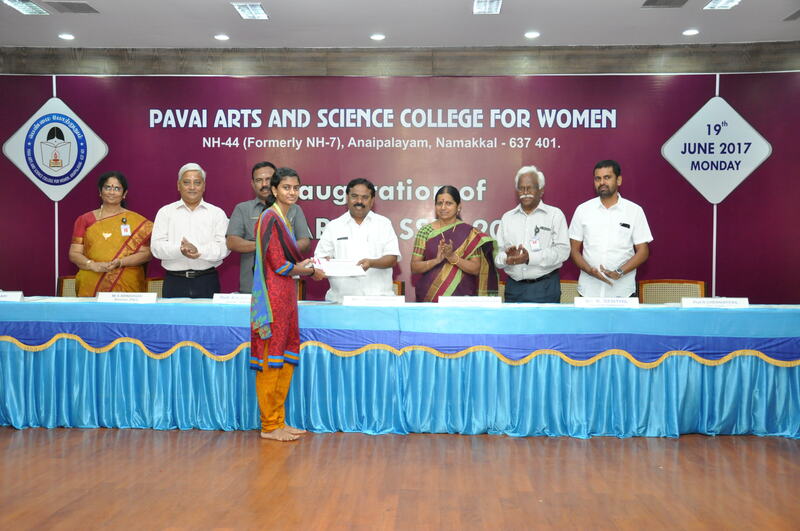 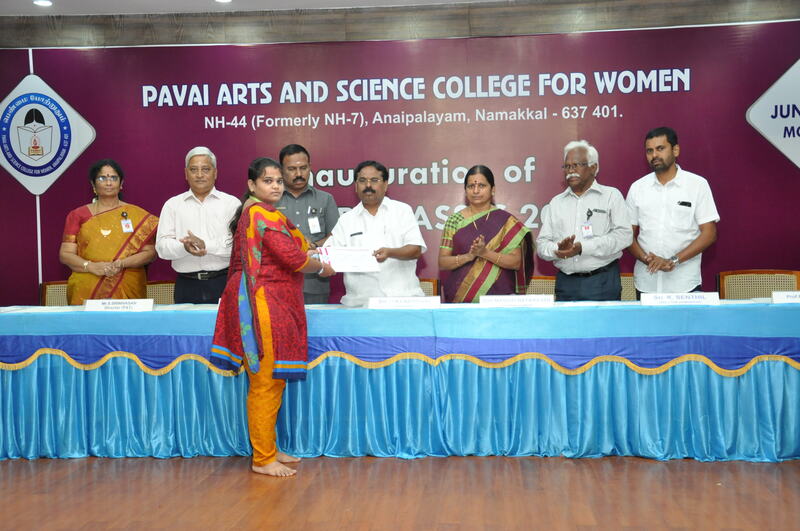 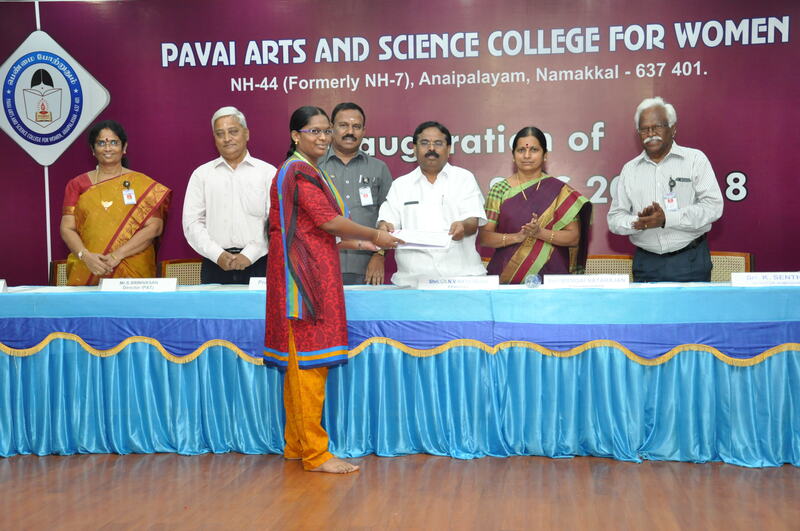 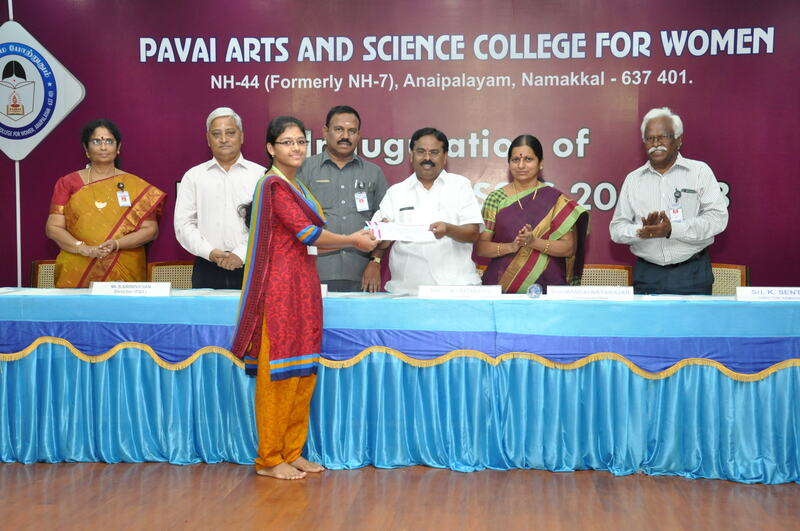 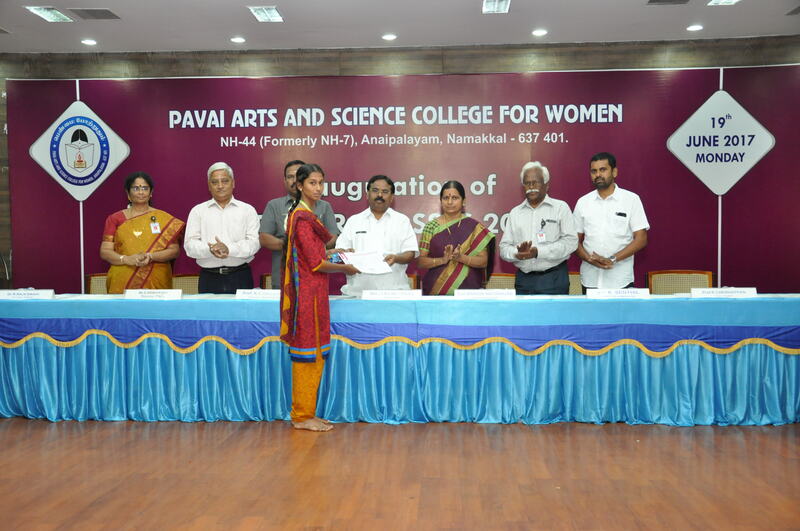 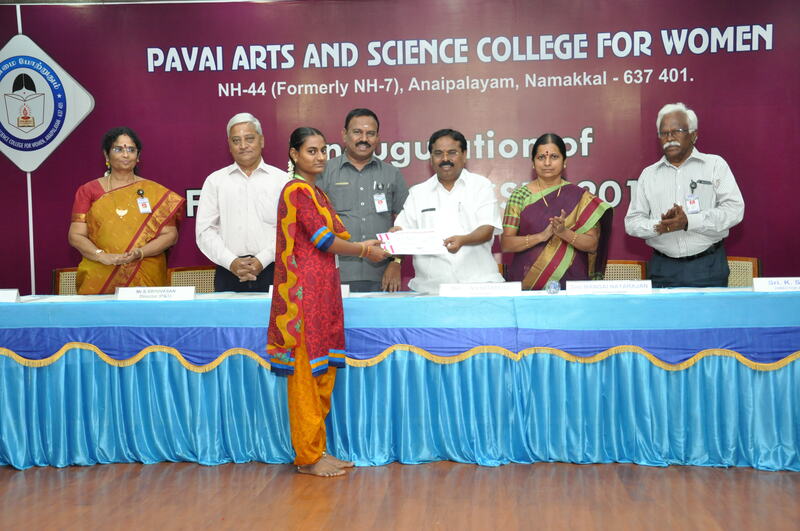 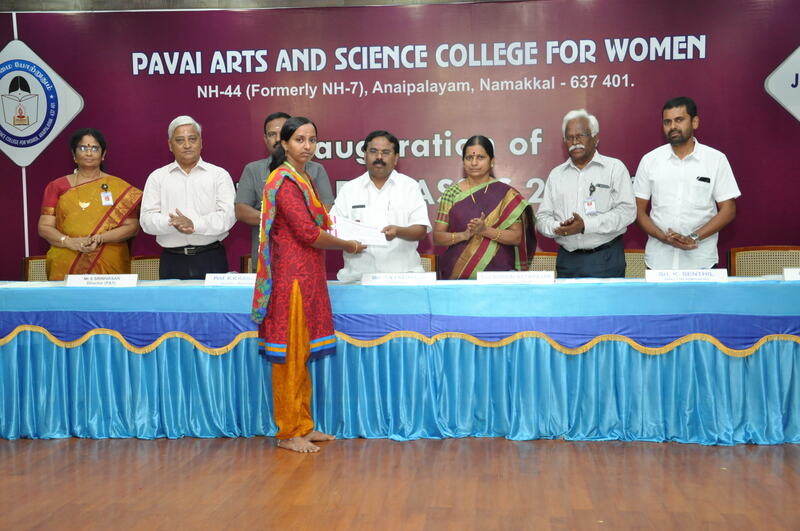 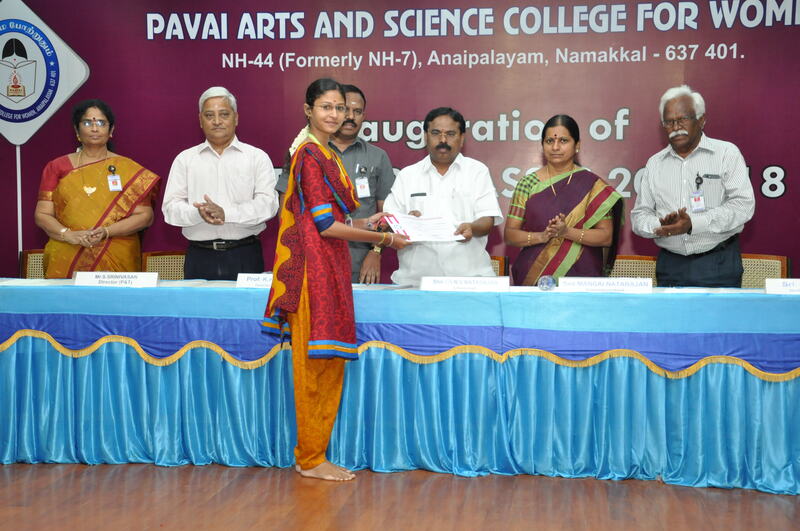 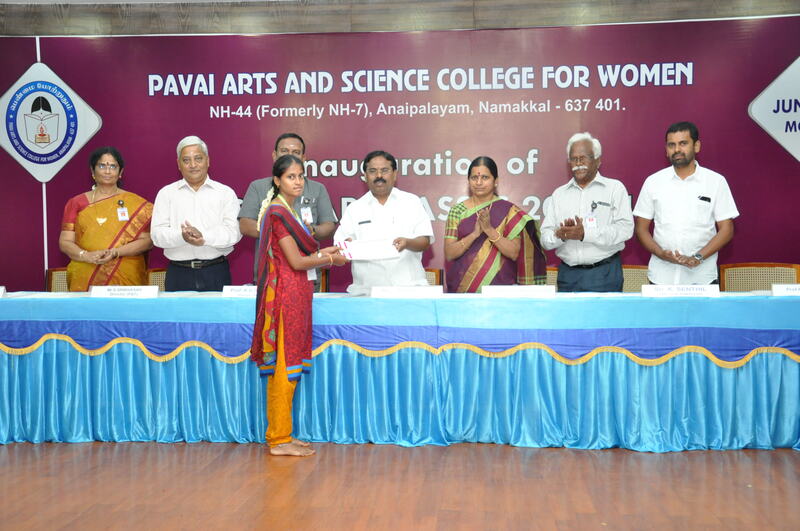 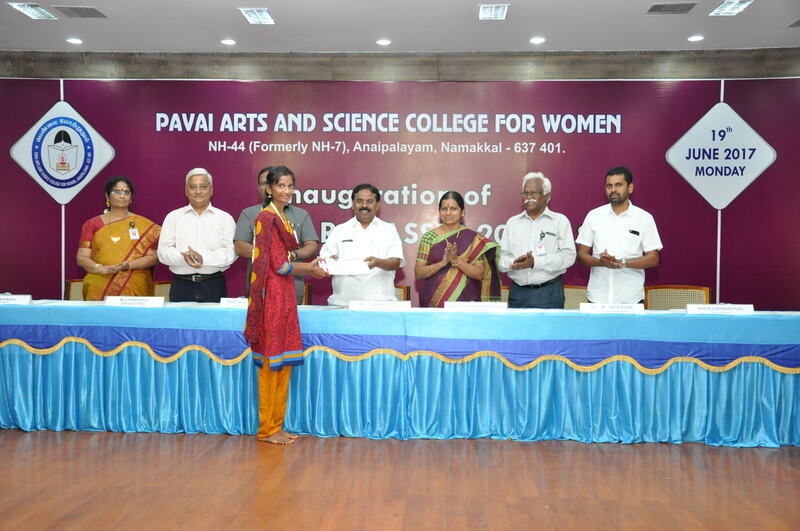 He assured the parents that Paavai from now onwards will shoulder the responsibility of looking after the educational needs of their wards.The Correspondent, in her felicitation address emphasized the significance of the logo of Pavai Arts and Science College for Women. 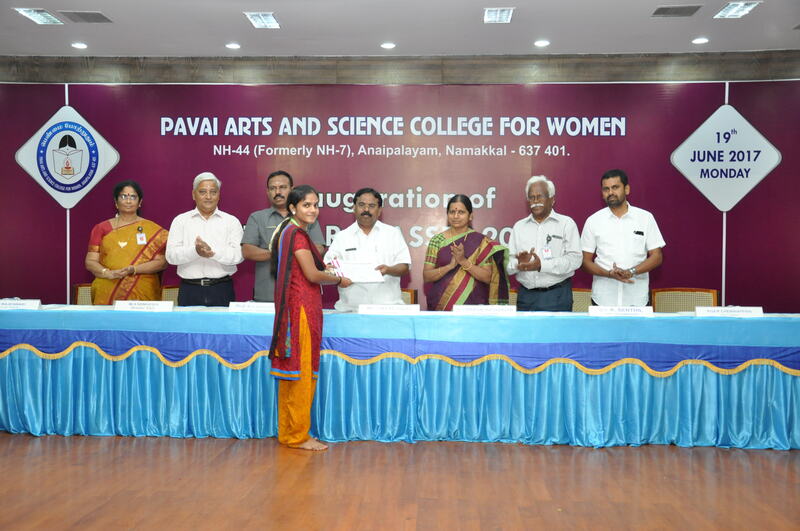 She highlighted that Pavai stands for ‘determination’ and therefore all the students will be trained to be women of character faith, honest and wisdom. 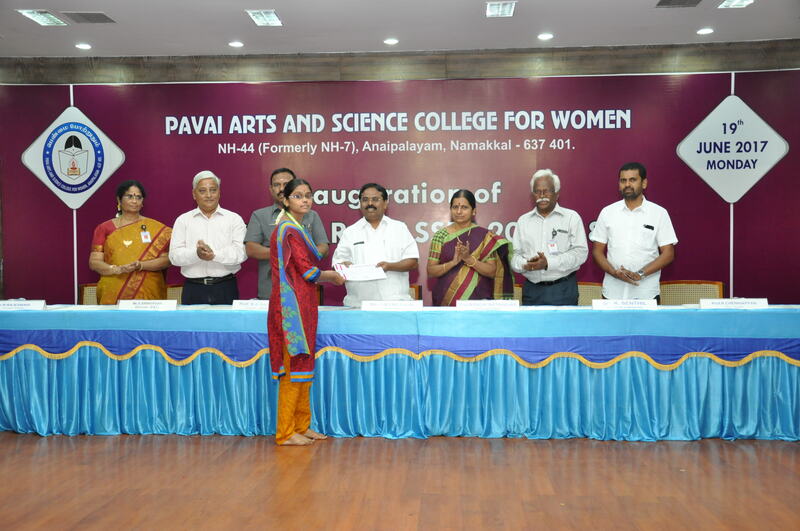 Paavai women will never expect any lenience from the society particularly men and they will not surrender to undesirable emotions and thoughts. 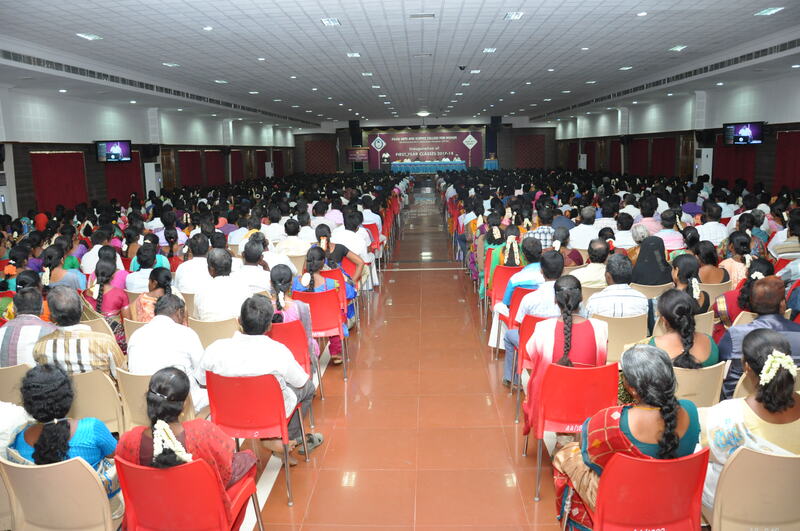 They will earnestly study and get employed with the help of the placement resources available on the premises. 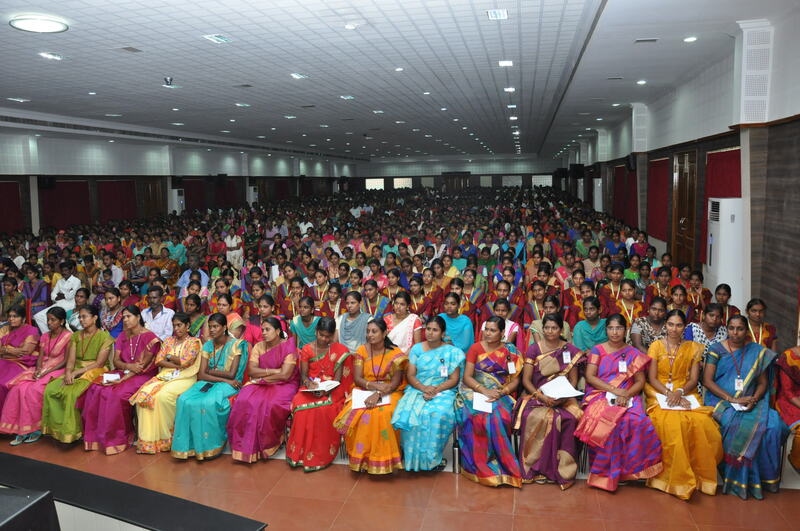 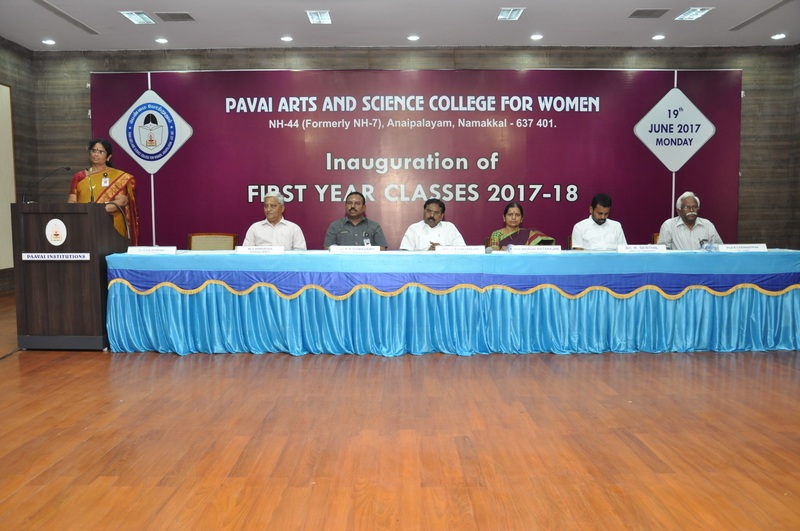 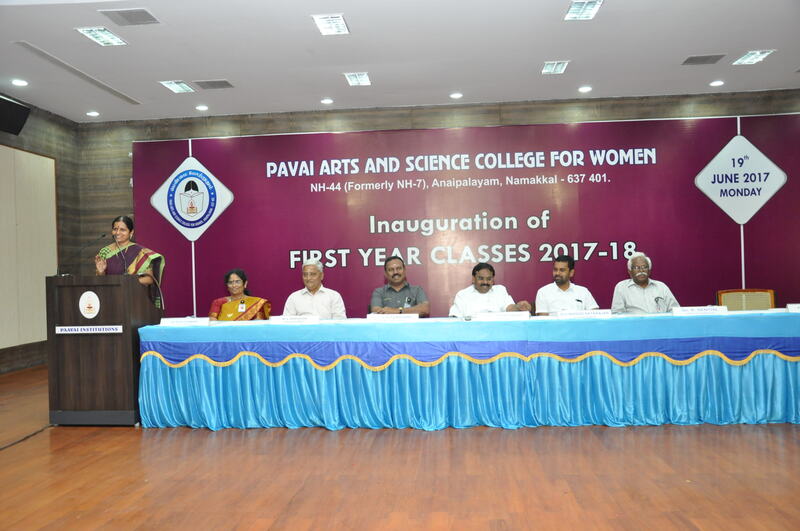 Mrs.N.Kalaiarasi, the Head of the Department of English introduced the various HoDs of Pavai Arts and Science College for Women to the audience. 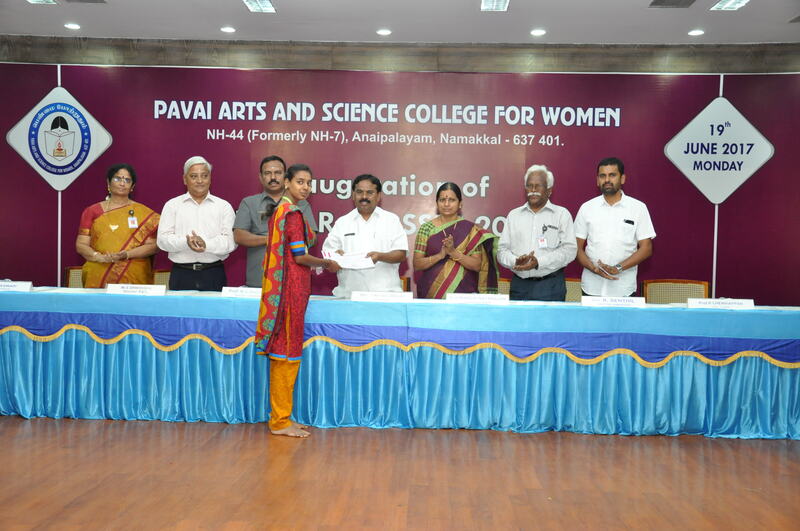 Mrs.K.Vimala, the HoD of Computer Science delivered the Vote of Thanks. 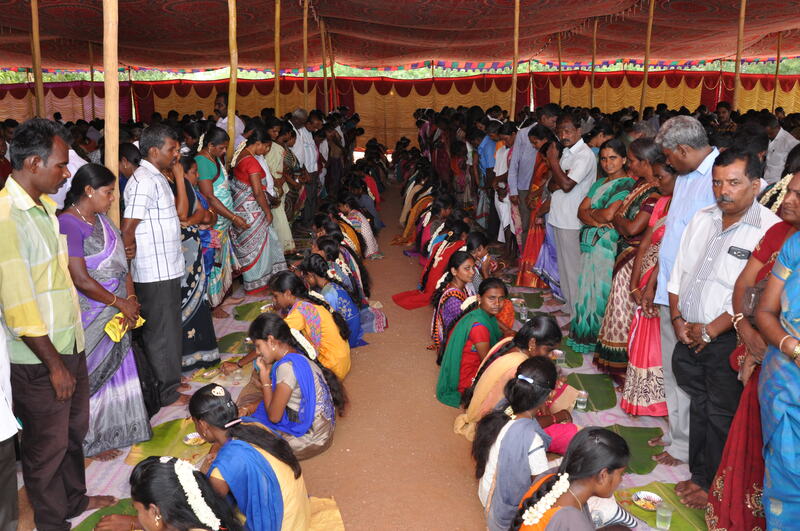 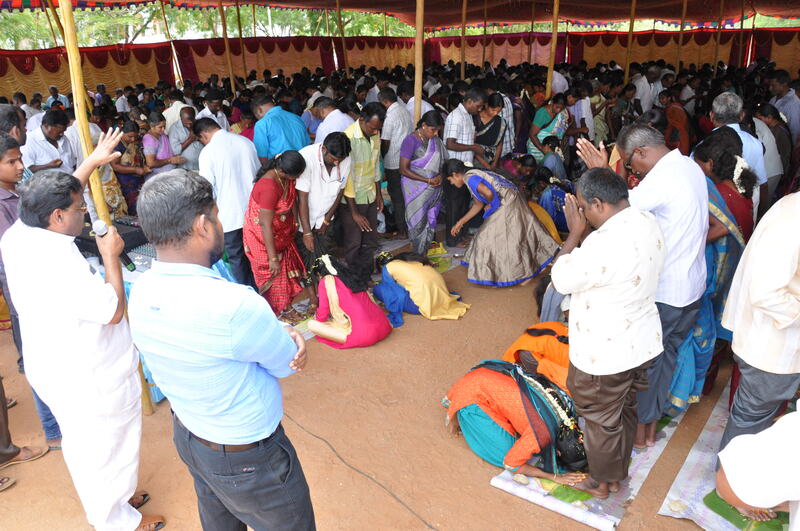 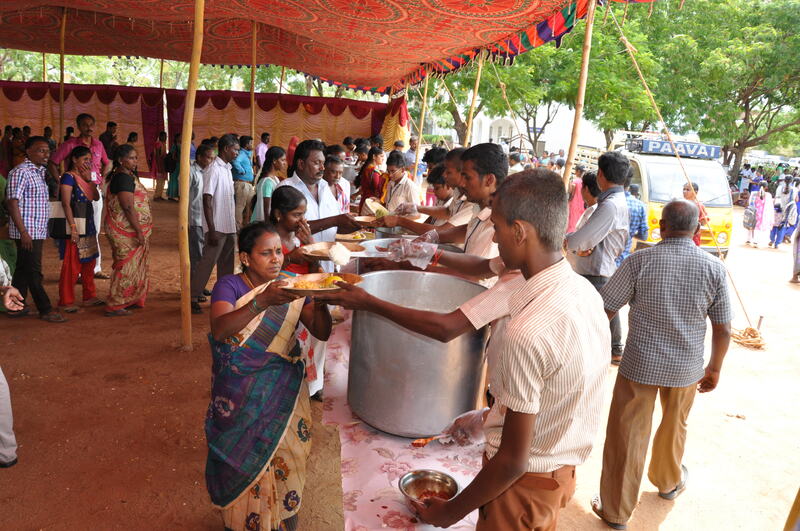 At the end of the inauguration ceremony, the first year students performed Paatha Pooja to their parents. 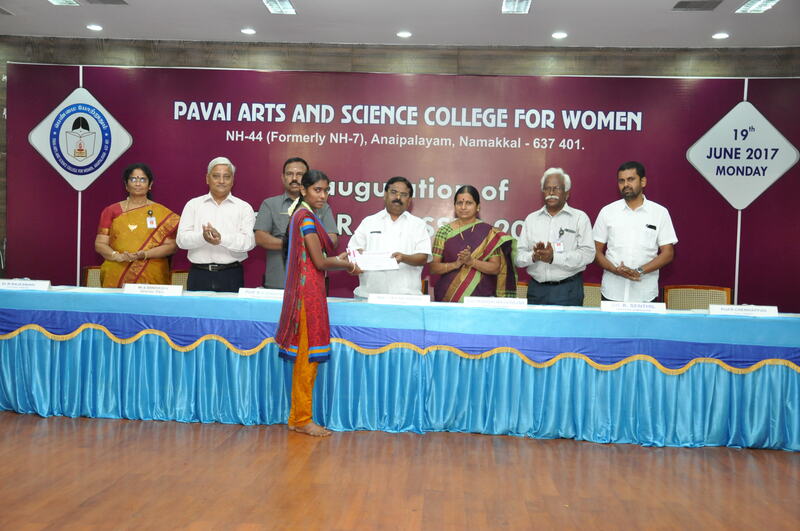 Dr.K.K.Ramasamy, the Director-Admin, Mr.K.Senthil, the Director-Admission, Mr.S.Srinivasan, the Director Operations, Prof.R.Chenniappan, Dean English, and the Principals of Paavai Engineering Colleges graced the inauguration.